Momo E. Takahashi is an Associate in the Orange County, California, office of Jackson Lewis P.C. She has experience handling a wide array of state and federal employment matters involving discrimination and harassment, wrongful termination and retaliation claims. Ms. Takahashi is experienced with all stages of litigation, and practices in both state and federal court. Prior to joining Jackson Lewis, Ms. Takahashi represented both plaintiffs and defendants in an array of litigation matters, including employment litigation, class action defense, business litigation, product liability, and professional liability. 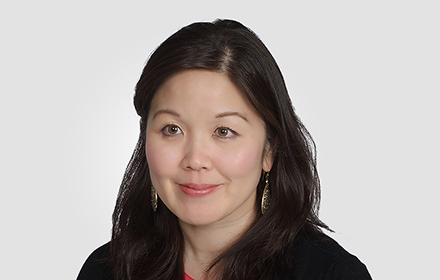 Having practiced both as a plaintiff’s attorney and as a defense attorney, Ms. Takahashi has a unique dual perspective in evaluating risks to aid clients in navigating civil litigation matters. While attending law school, Ms. Takahashi won several awards in Moot Court and was the Moot Court Co-Department Chair, 2004-2005, and she was a member of Comm/Ent: Hastings Communications and Entertainment Law Journal. Ms. Takahashi also externed for the Honorable Lowell Jensen in the California Northern District Court.